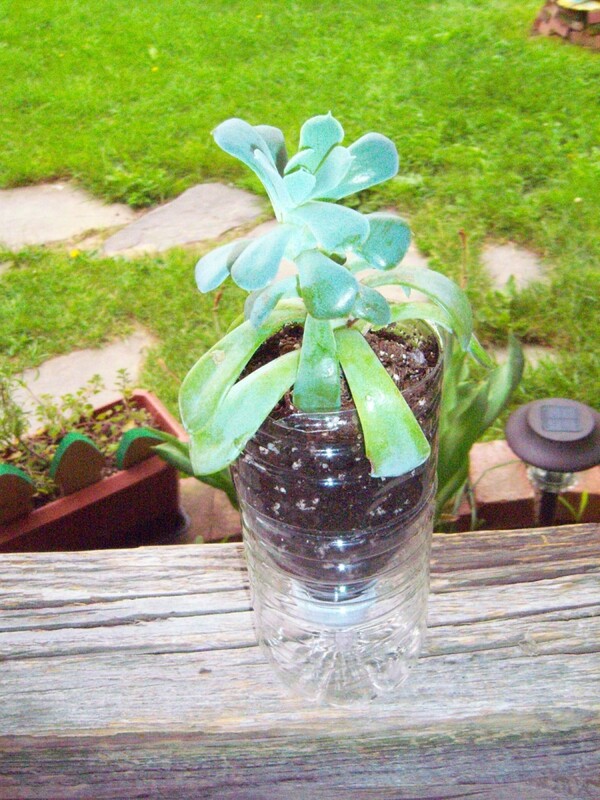 This is a cute and easy project for gardeners or even for kid projects that gives you lots of extra planters for all your newly seedlings or propagated plants! 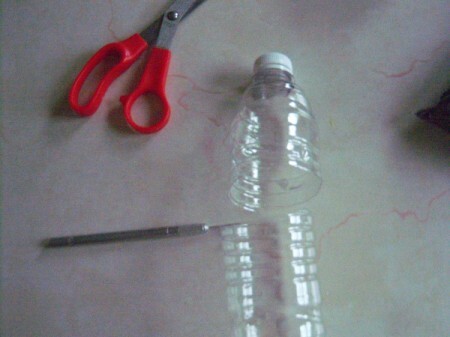 Use scissors or X-acto knife (be careful!) and cut your plastic bottle in half. 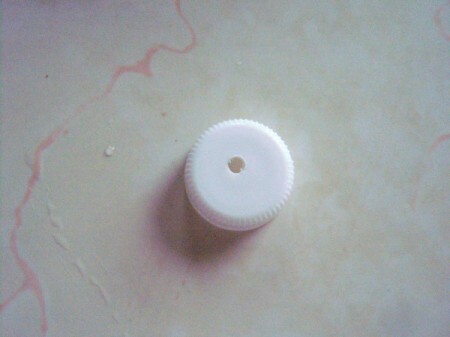 You may either drill a hole in the cap, use an awl punch and punch a hole in the cap OR remove the cap completely and stuff a cotton ball in the neck of the bottle. 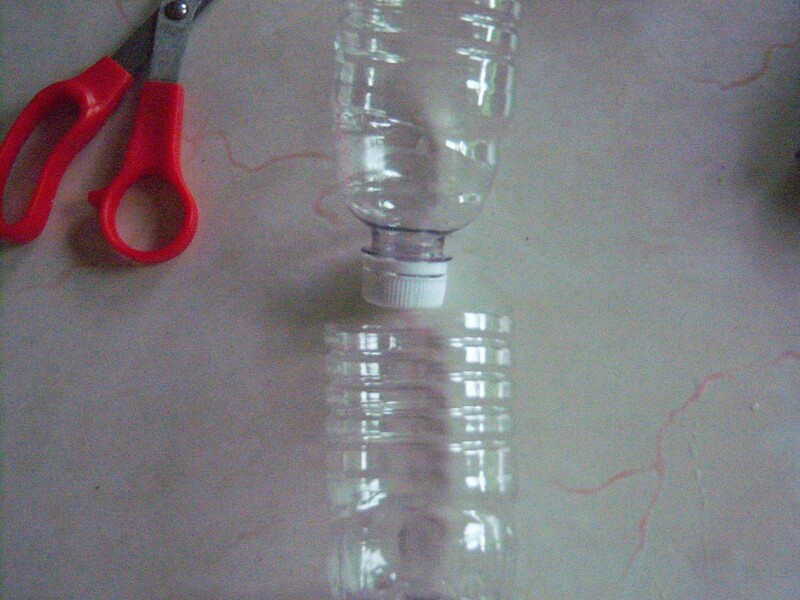 Turn the top of the bottom upside down and fit it into the bottom of the bottle as shown. 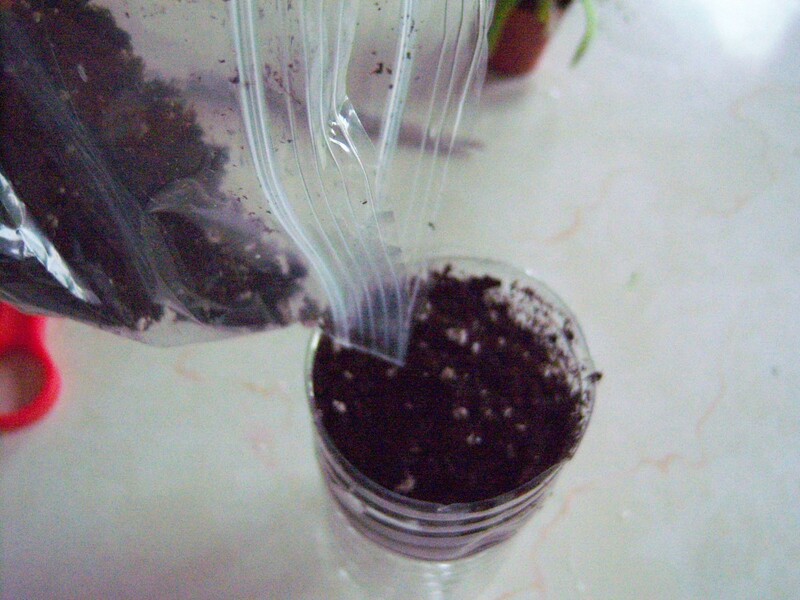 Fill the top section with soil. 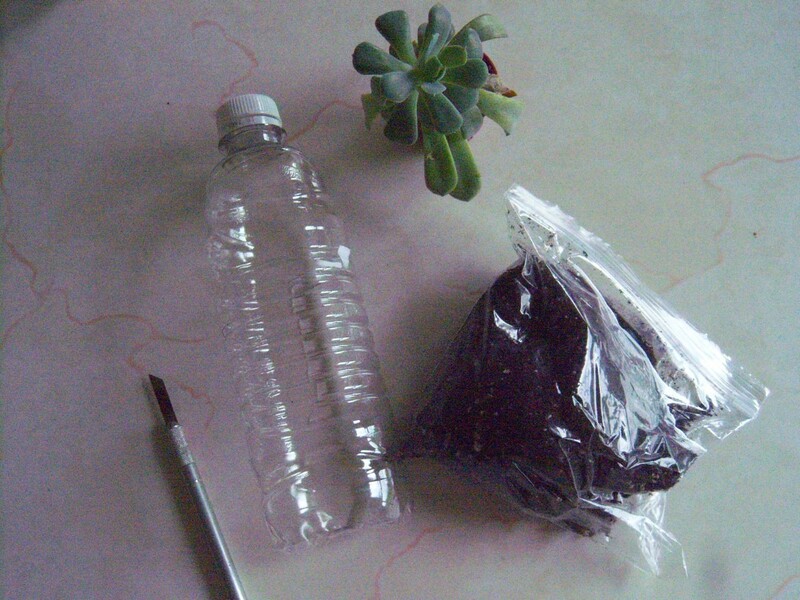 Add your plant, water gently and your done! This is a great idea. We like to give plants to the teachers at the end of the year. 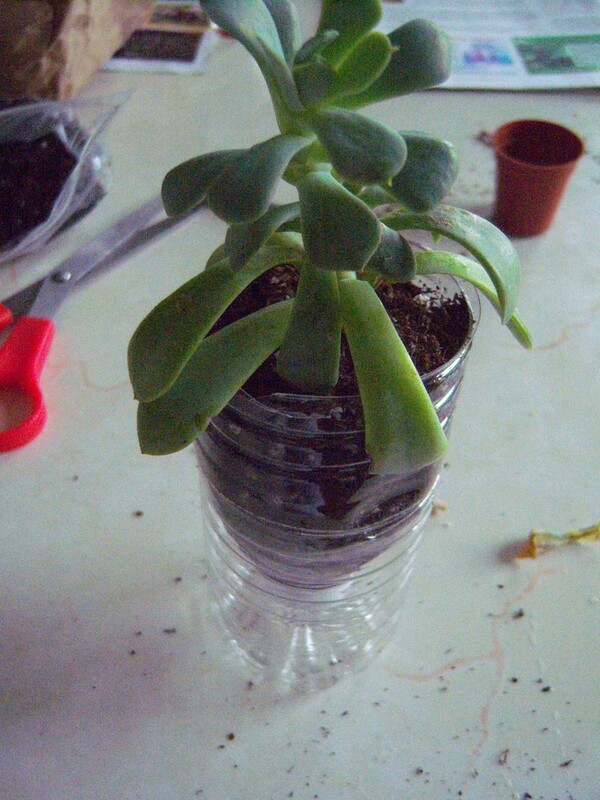 You could start the plant in September and it would be a nice size plant by Spring. 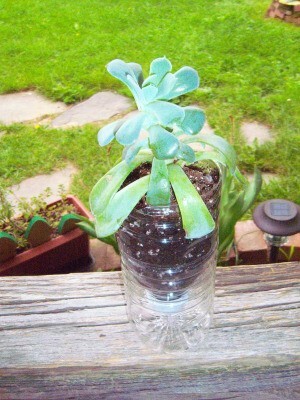 You would just have to repot the plant into a bigger container.